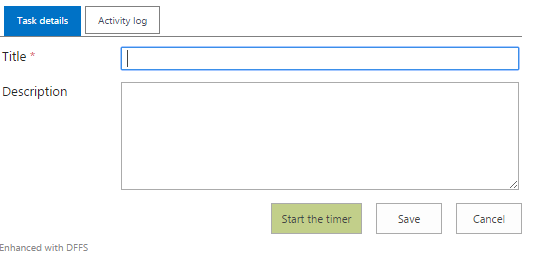 Here is an example of a simple time tracker in a DFFS enabled list. Before you start you must set up DFFS. You find more info here. Create a custom list, and add these fields. Ensure you use the exact same FieldInternalName as described here. When the field has been created, you can change the name to whatever you like. 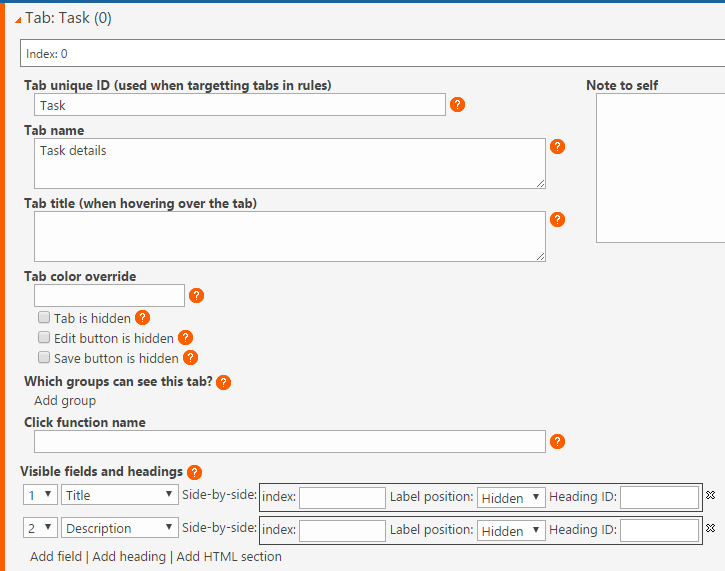 Description (Multiple lines of text ) – This field is optional, and not required in the solution. 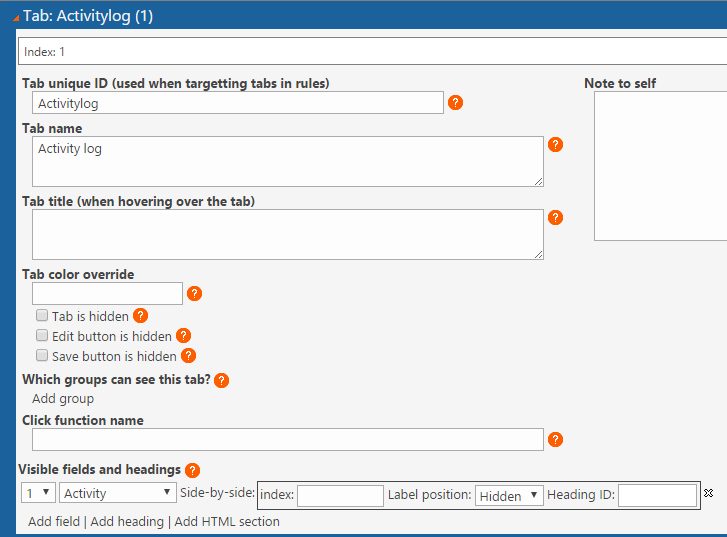 You can save the list item with the timer running. When you edit it again afterwards, press “Stop the timer” and save the item. 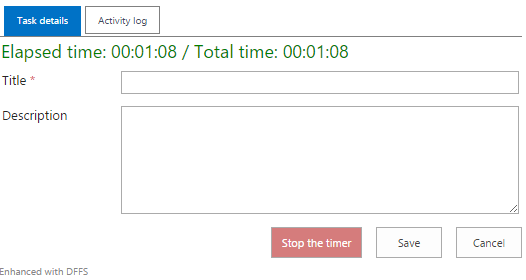 Please note that the “TotalTime” field will only show the time after the timer has been stopped, and will not show the “live ticker”.